Geraldine Iheme got my attention when I began to see news of her book launch around the interwebs. I got to find out that she was a former Big Brother housemate but my interest was more in her writing and publishing journey so I contacted her on Twitter and we set up this interview. 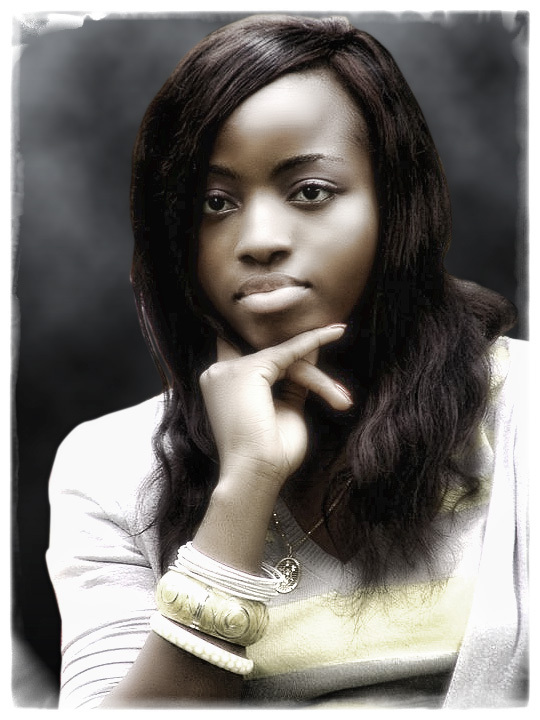 Gerry is a Christian, reserved, friendly, observant, fun-loving and sweet. She loves exploring her creative and artistic skills and reads, writes, plays the guitar or piano, and loves spending quality time with her family and friends. She is from Nkwerre, Imo State but was born in Lagos on the 18th of June, to Chief Augustine and Chief Mrs. Uchenna Ethel Iheme. She is the second of four children, attending Corona Primary school in Victoria Island and then Igbinedion Education Centre (Secondary School, for two years, before she finished at Christ The Cornerstone International School in Ikeja, Lagos. She's a Law graduate from Igbinedion University, Benin. As part of the Big-Brother Africa Show 2009 tagged THE BIG-BROTHER REVOLUTION held in South Africa and aired round Africa, she was the 19th house-mate to leave the show, staying a total of 10weeks in the house. I love writing. I started writing at the age of seven. I would take empty note books and write short stories with funny drawings and happy endings. Then I would force my family to read my stories. They always encouraged me. I loved to read as well and that stirred up my appetite to write. In secondary School I enjoyed writing Essays, because it gave me an opportunity to explore and enhance my writing skills. 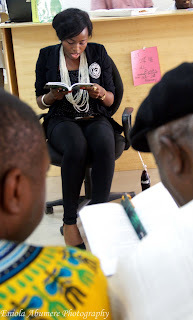 -I would jump into the book "The Concubine" by Elechi Amadi and experience the world of Ihuoma, Madume, Emenike and Ekwueme in Omokachi Village. It was set in a time before I was born. The Story of Ihuoma reminds me of the stories my mother used to tell me when I was a child. It would be exciting to experience that world, where houses were made of mud and women wrapped their bodies in very little cloth. I loved reading the Bible. I also loved books by Enid Blyton, especially "The Enchanted Wood" and books by R.L Stine. I read almost all the 'GooseBumps' Series. I started writing the book "Disfigured Emotions" in 2008. I wanted to write a book about the problems youths face in our society and the negative effects Parental neglect and abandonment has on children. I wanted to tell a very interesting story that would leave readers spellbound and also learn something from my story. I did a lot of research in order to make my story as authentic as possible. Since the story was not about my own personal experience, I had to talk to people who had experienced similar issues to the characters I had created. I told my father about the book. He was so excited about it and told me he was also writing a book (An autobiography). We planned to launch our books on the same day. Unfortunately, he died before I finished the book. I almost gave up writing. After the funeral, I asked myself, "what would daddy want?" So I decided to finish the book even though it was difficult. Some nights, alone in my study, writing, I would try to shake off thoughts of my dad,and then I would hear his encouraging words spurring me on. I had a fantastic team behind me,Mindscope Concept, Dees Design, and good editors who worked day and night to make sure the book was a success. When my book was ready, I felt like a woman in labour who had finally given birth. Holding my 'baby' in my arms was a dream come true! There were a few people who thought I would not be able to pull it off but I looked up to God for strength. I was able to finish my novel and plan a successful launch with the help of my wonderful family. 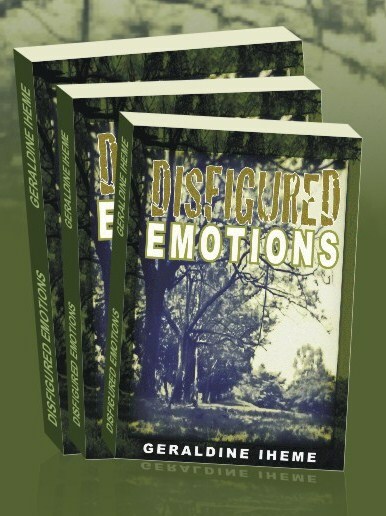 'Disfigured Emotions' is a captivating and intriguing story about love, pain, sexual abuse, neglect, mistrust, and abandonment, which will keep the reader glued to the book until the last page. Yes, I am already working on my second book. It has been a roller-coaster so far. God has been so faithful. He has blessed me on every side. The demand for my book has been overwhelming and encouraging. My books are now available in bookstores in Nigeria and Ghana and also available online on www.walahi.com and www.debonairbookstore.com. People from all over Africa have been ordering my book. My book was recently ranked in www.walahi.com as one of the bestsellers. I got good reviews from THISDAY newspaper, The Guardian, 234 Next etc. The support from fans have been incredible! Some wrote to me and told me how the book had touched them deeply and had changed their perception about life. People refer to me as an author. The first time someone called me an "author", I was moved to tears. My dream of becoming a writer had finally come true. Chimamanda Ngozi Adichie. She inspires me. It would be "The Purple Hibiscus" by Chimamanda Adichie. I have read the book four times now. It is such an interesting novel. Do you think young Nigerians still read? If not, how do we get them to do so? Many young people today are usually on the internet. Years ago, teenagers spent their idle hours reading books. Today, most of them are surfing the net, usually on twitter, facebook etc. The reading habit has depreciated. -E-Books should be available online for download,at affordable prices. -Book stores should encourage the reading habit by throwing book parties at the store and at schools. Constructive criticisms help me grow as a writer. I am able to take note of the mistakes and work towards avoiding such errors in my next book. Enid Blyton, R.L Stine, Chinua Achebe, Wole Soyinka, Danielle Steel, John Grisham, and my all time favourite writer Chimamanda Ngozi Adichie. I would love to co-author a book with Wole Soyinka. I respect his work and I love his writing. He has won so many awards for his great works, including the Nobel Prize. It will be an honor to co-author a book with him. After I launched the book "Disfigured Emotions" in December last year, I was overwhelmed with the love and support from fans, family and friends. Sales were fantastic and the book got good reviews. The response was incredible and I thank God everyday. My family and I thanked God at the Thanksgiving service in Church and went out to have dinner to celebrate the success of the book.